Oslo A5 Notebook is so much more than just a notebook. 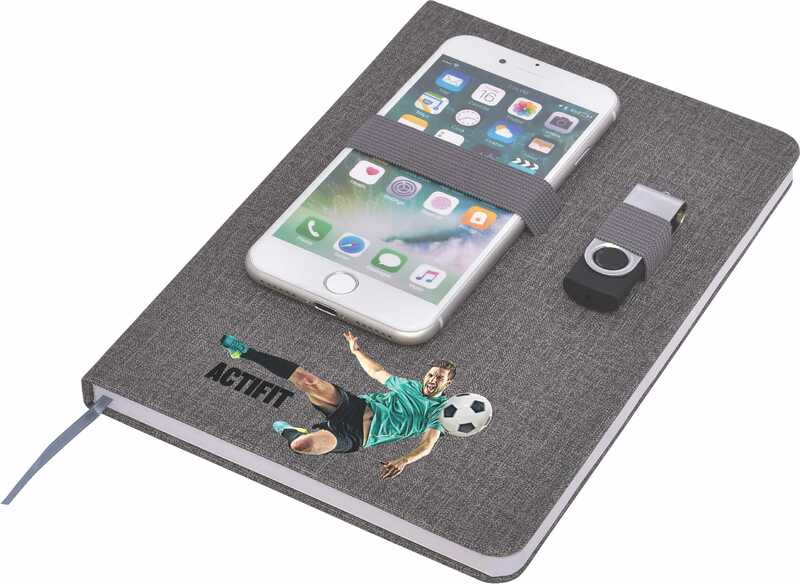 It’s designed to free your hands while you’re out and about by providing a secure place to hold your mobile phone, pen, business cards and much more. Crafted from the latest fabric inspired materials and available in grey, navy or black.